Please note that the content of this book primarily consists of articles available from Wikipedia or other free sources online. 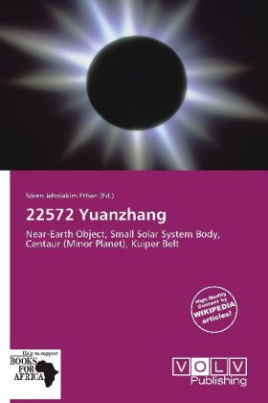 22572 Yuanzhang (1998 HJ39) is a main-belt asteroid discovered on April 20, 1998 by the Lincoln Laboratory Near-Earth Asteroid Research Team at Socorro. Asteroids (from Greek 'star' and 'like, in form') are a class of Small Solar System Bodies in orbit around the Sun. They have also been called planetoids, especially the larger ones. These terms have historically been applied to any astronomical object orbiting the Sun that did not show the disk of a planet and was not observed to have the characteristics of an active comet, but as small objects in the outer Solar System were discovered, their volatile-based surfaces were found to more closely resemble comets, and so were often distinguished from traditional asteroids.